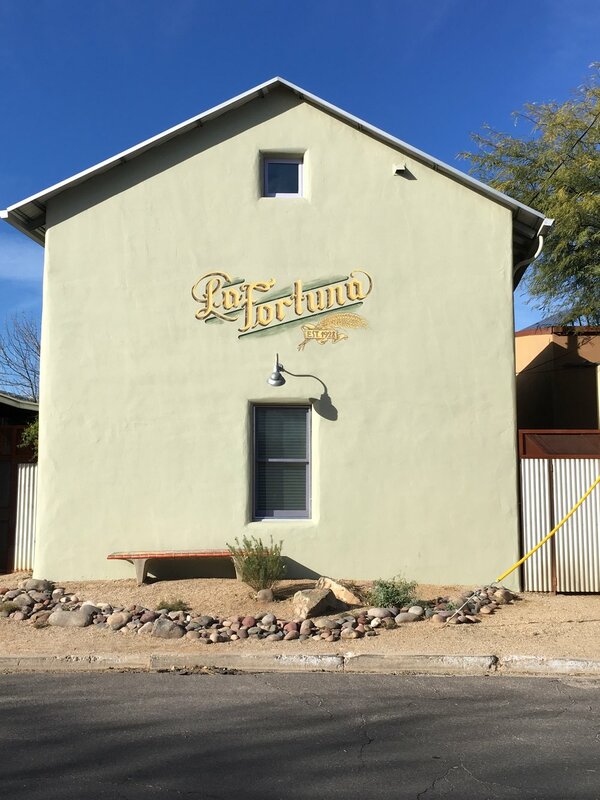 Back in early November, True Tucson featured ghost signs -- signs that remain long after the business is gone. Now there's a ghost sign, but a brand new one. It marks the location of La Fortuna bakery in the barrio south of downtown. La Fortuna was at 638 S. Meyer in the early 1900s. This is not the original building (the current structure was built within the past 20 years), but I love that the owners are honoring the past. The best story about La Fortuna appeared in the Tucson Citizen in 2006. It was written by freelance writer Carmen Villa Prezelski. She interviewed Tony Figueroa, the son of La Fortuna's founder, Luis Figueroa. She said the bakery made both French and Mexican bread, empanadas, coyotas and cochitos. Now that is Tucson style.